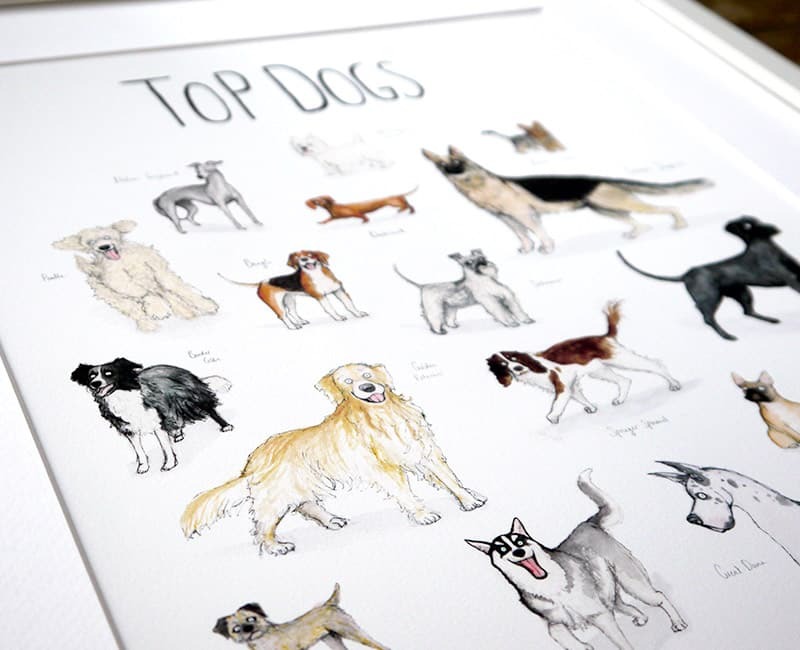 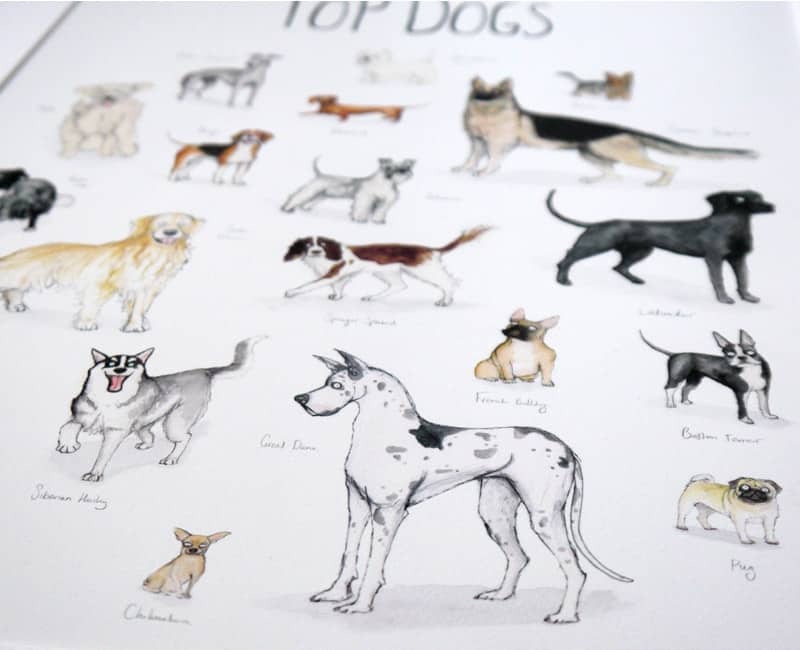 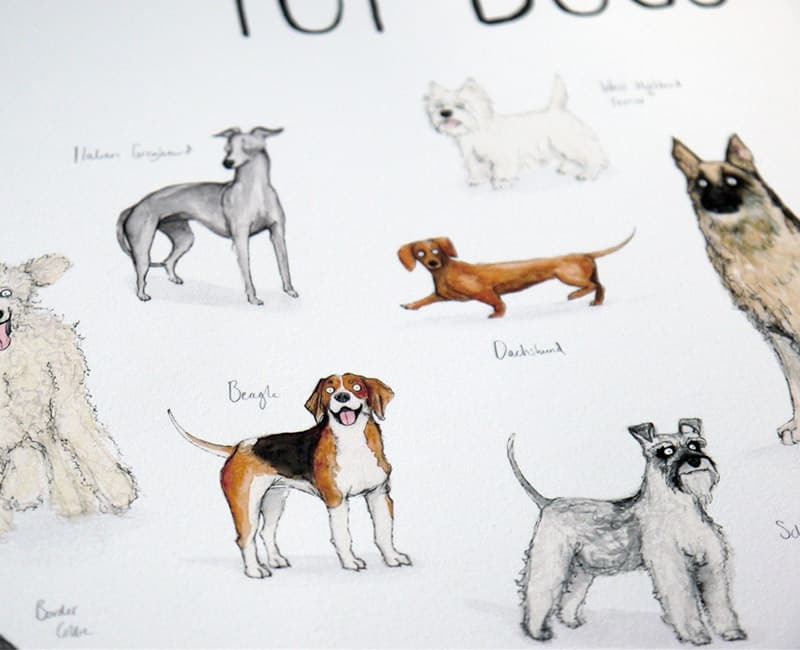 This is a giclee print of my original pen, ink and watercolour illustration of 20 very well-loved dog breeds. 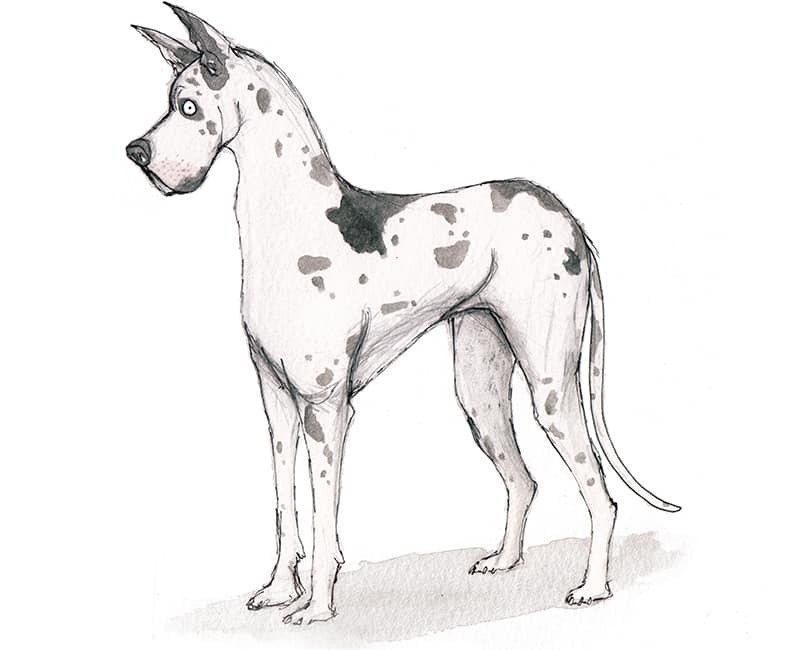 I love watching how dogs interact in the park – never discriminating, generally just playing and getting along. 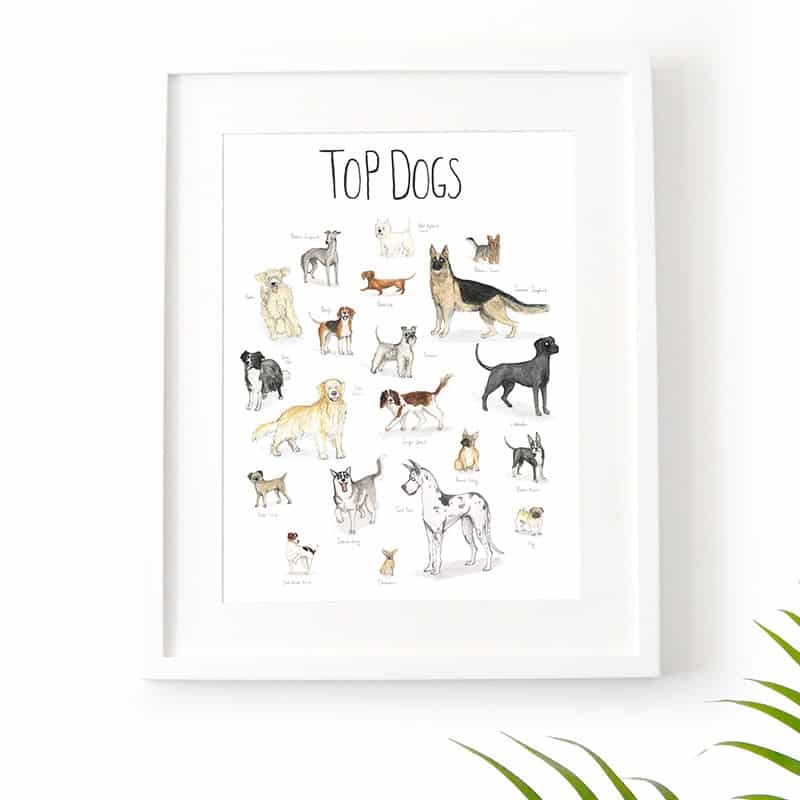 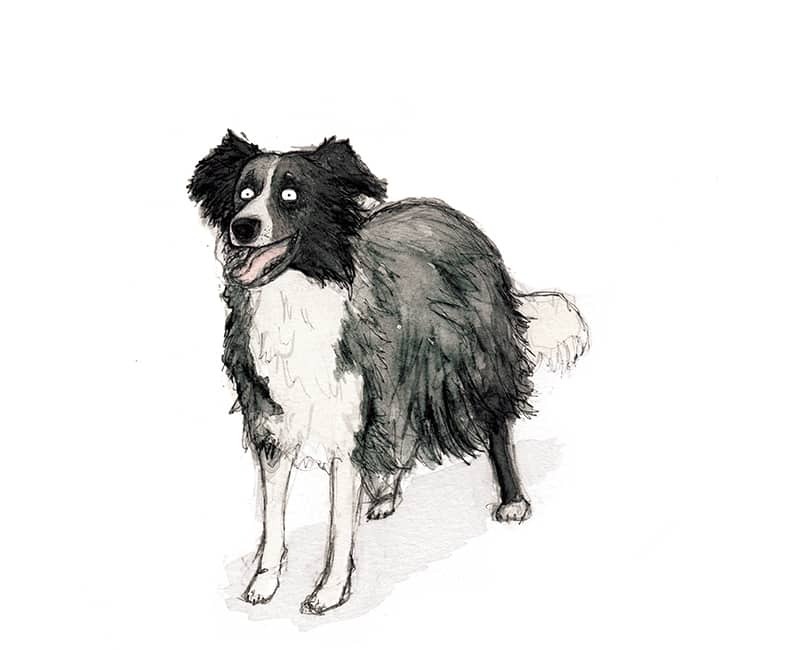 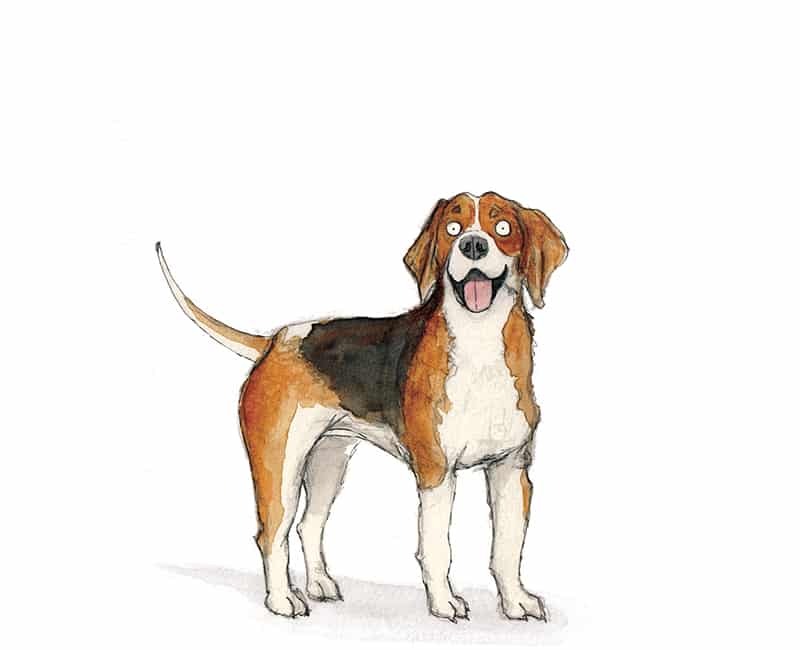 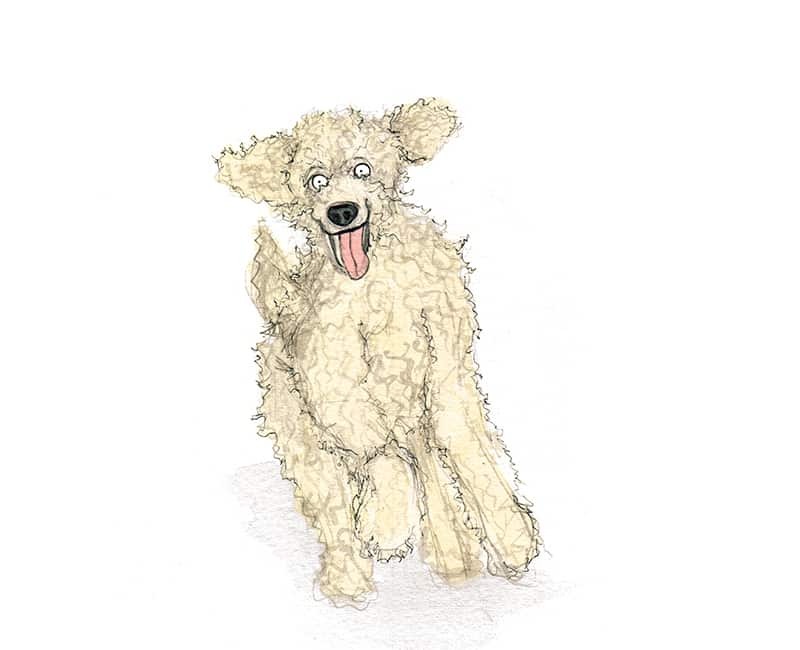 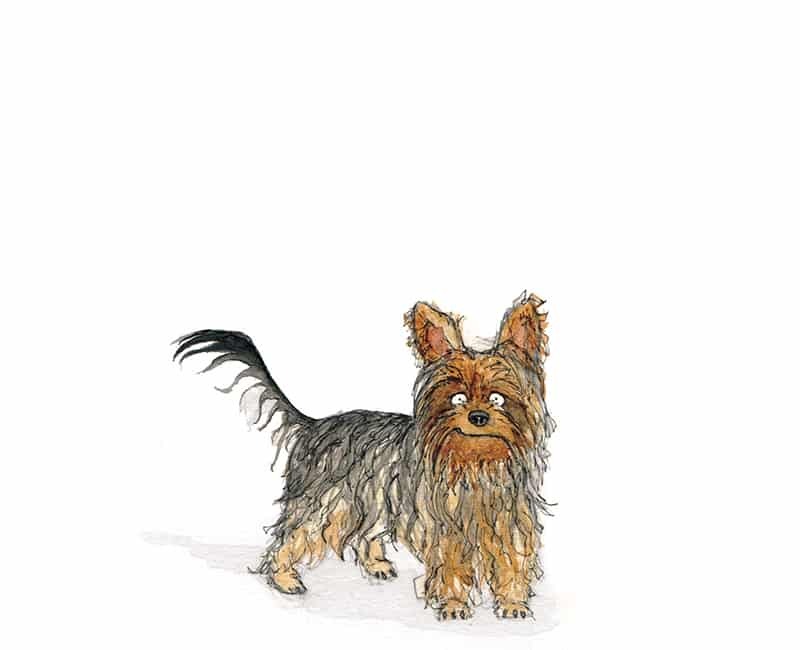 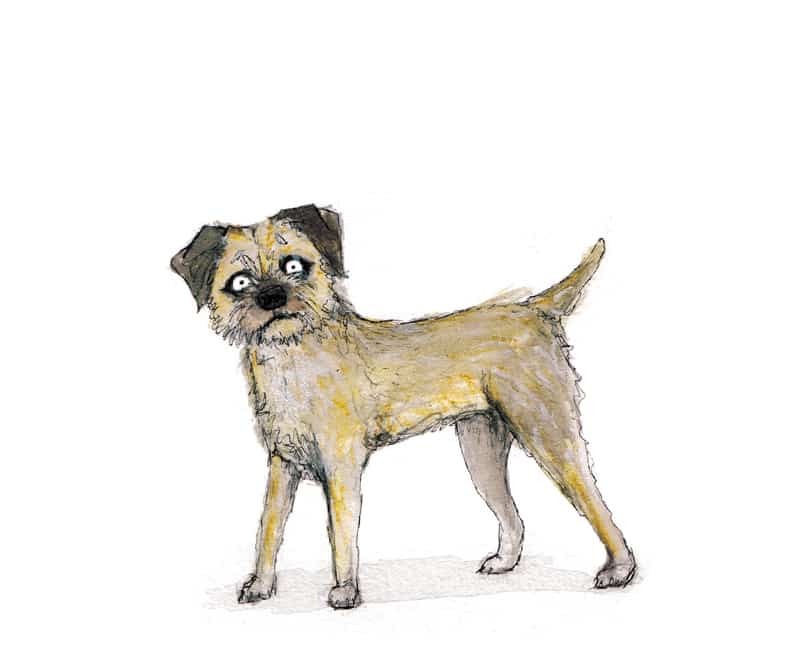 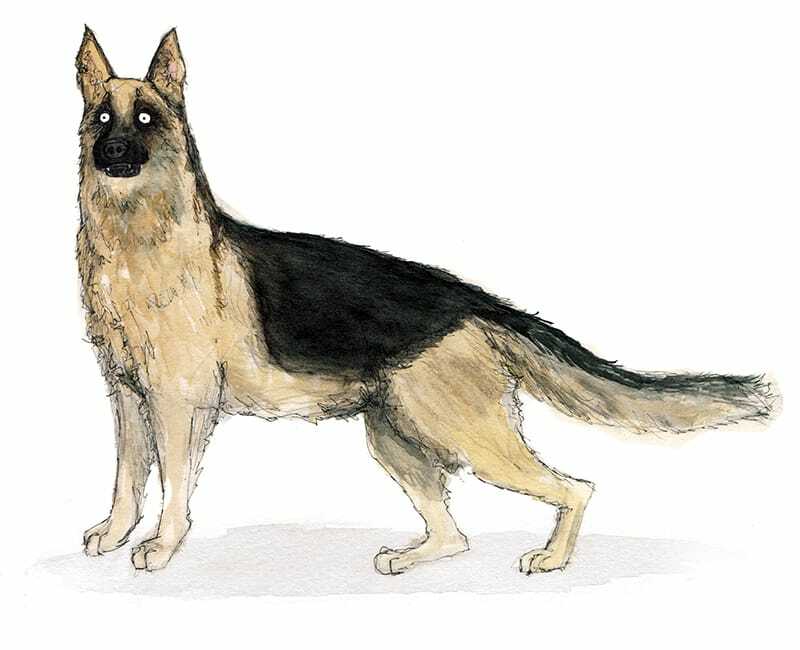 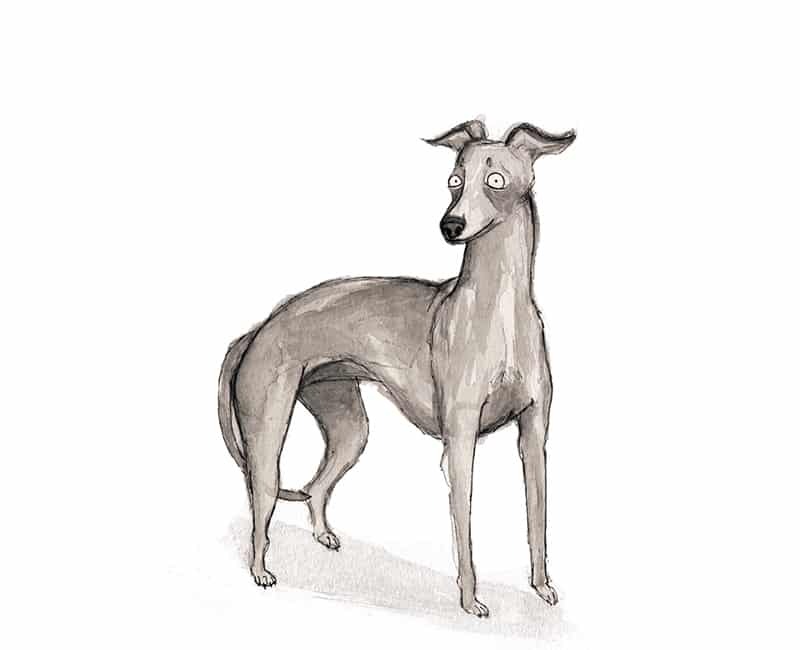 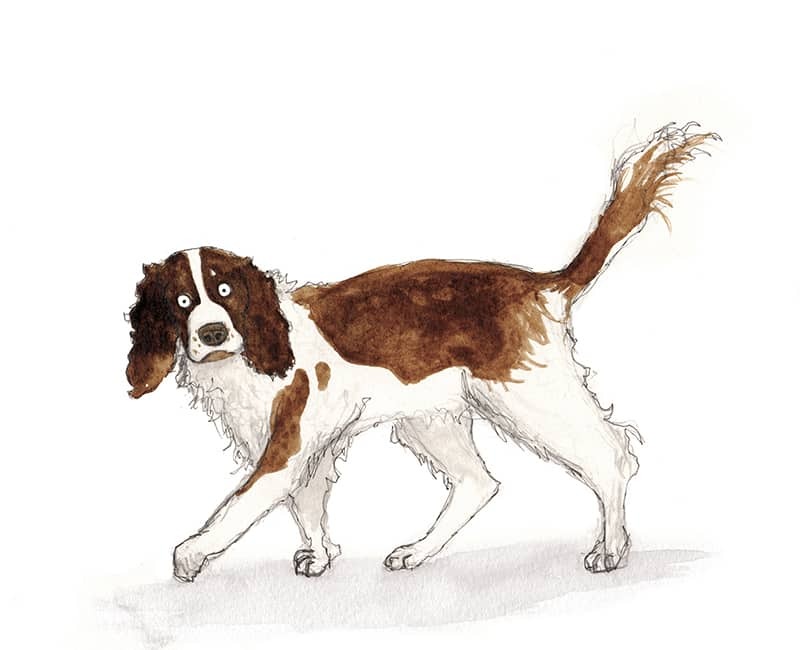 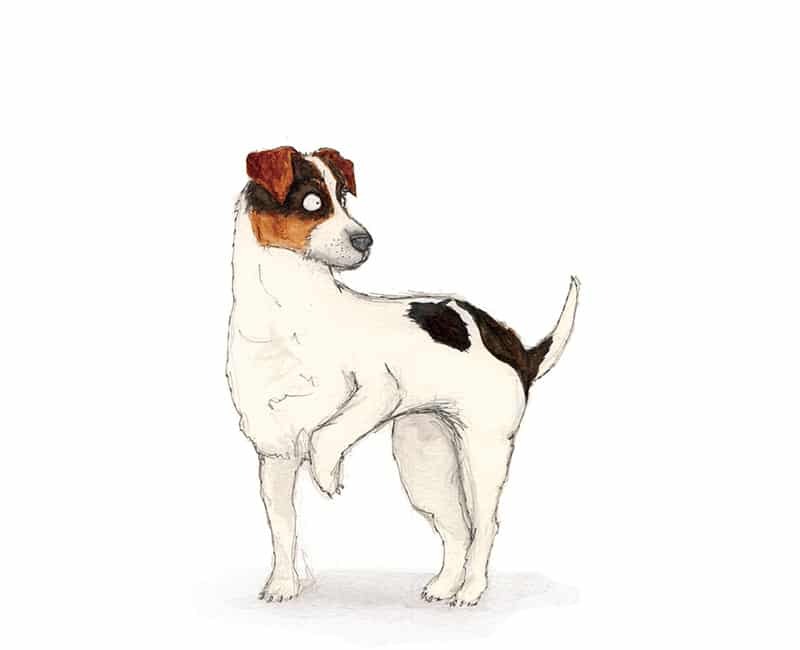 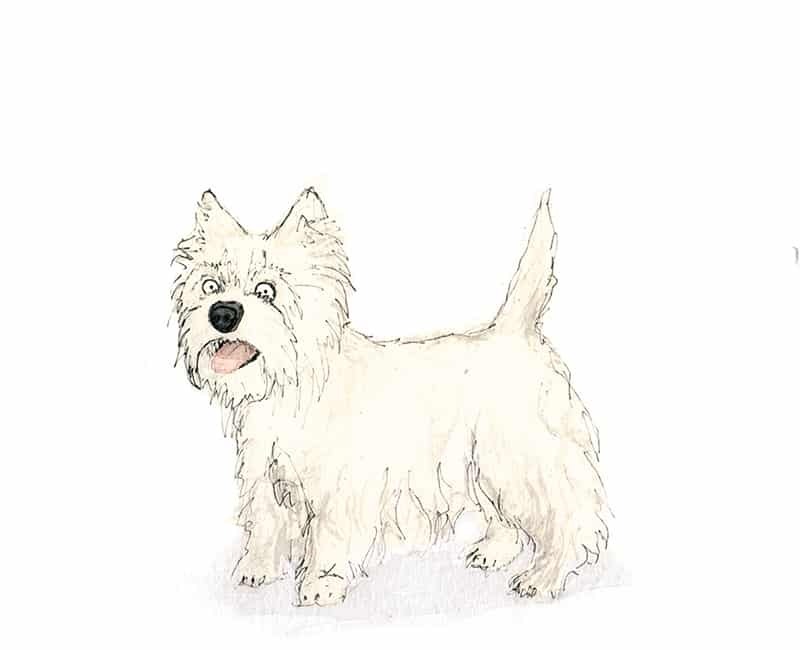 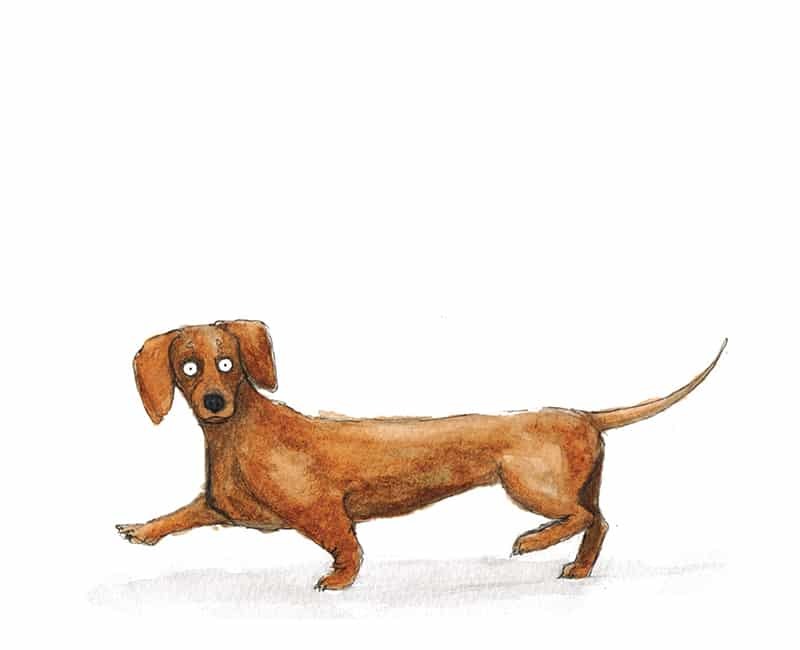 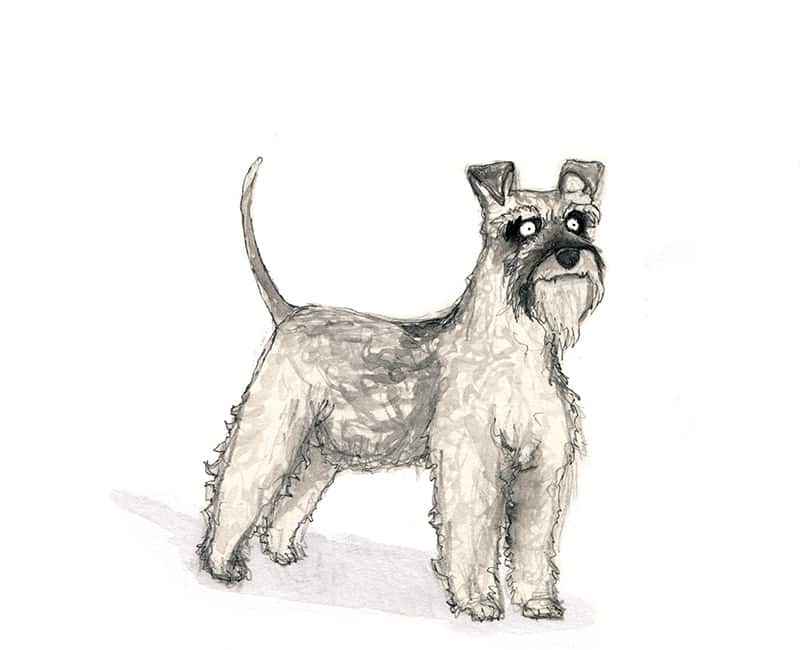 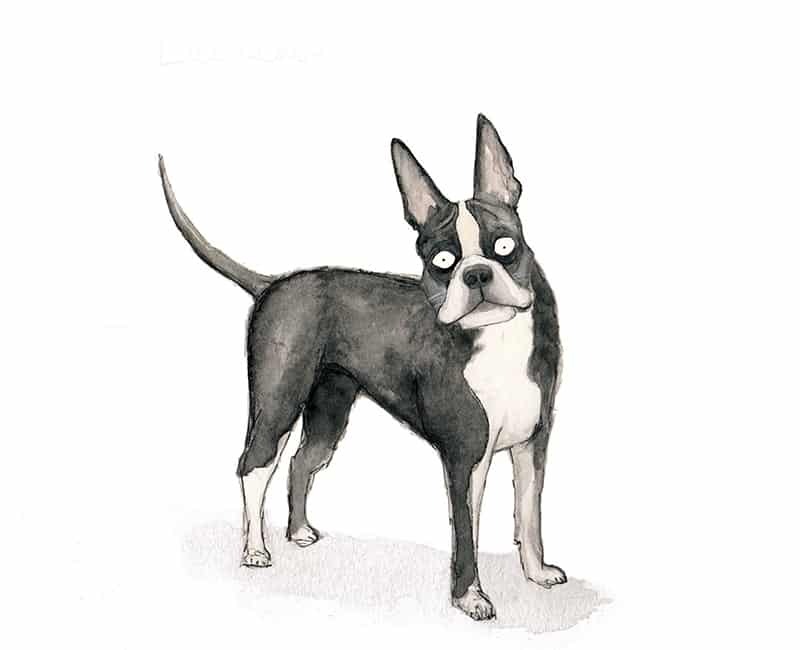 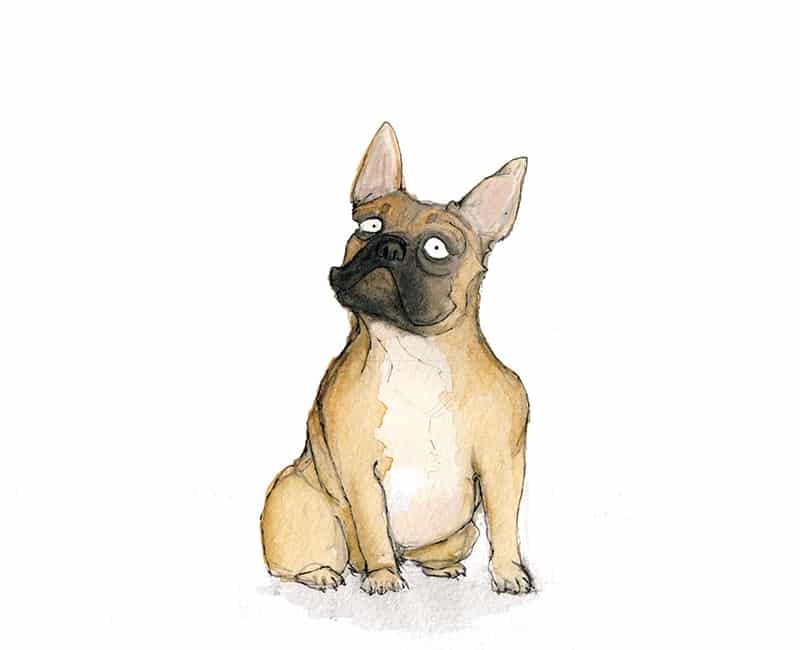 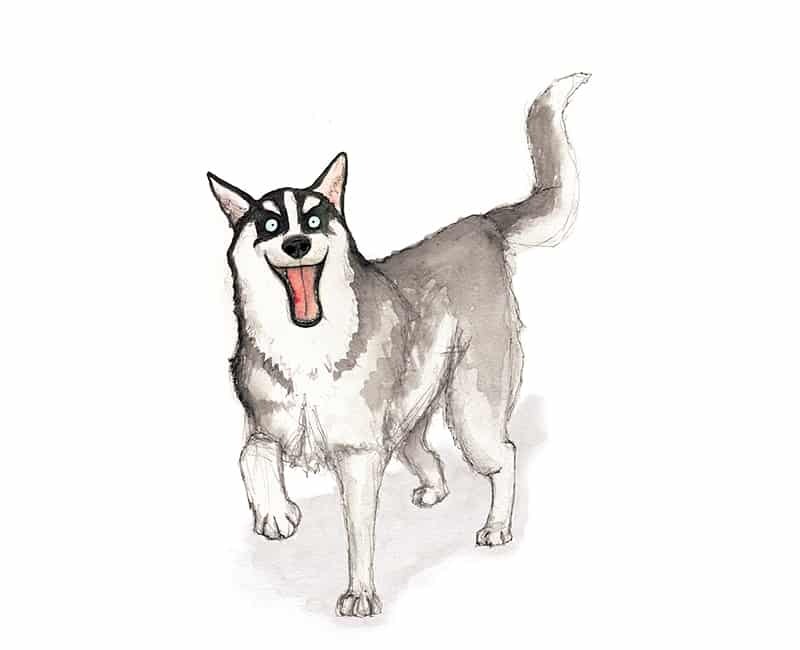 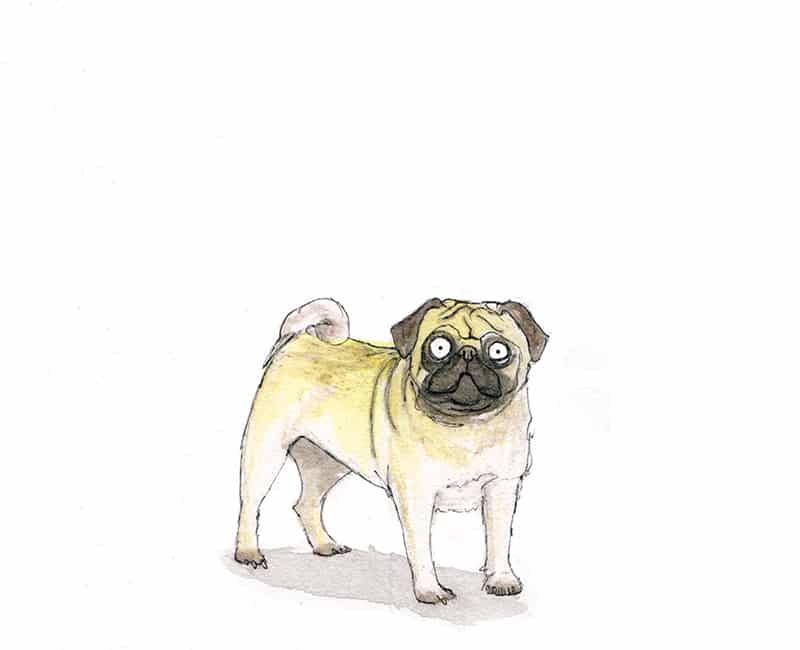 I often think humankind could learn a lot from canines, and this illustration is a celebration of some of our favourite dog breeds. Featuring a Great Dane, Beagle, Pug, Chihuahua, Poodle, Border collie, Golden retriever, Schanuzer, French bulldog, Boston terrier, German Shepherd, Jack russell terrier, Dachshund, Labrador, Pug, Springer spaniel, Siberian Husky, Yorkshire, West-Highland and Border terriers. 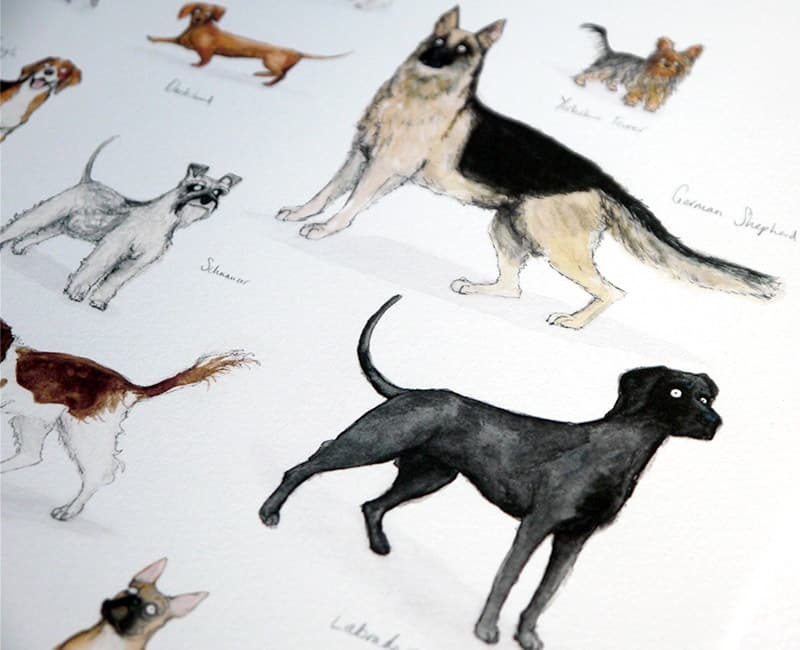 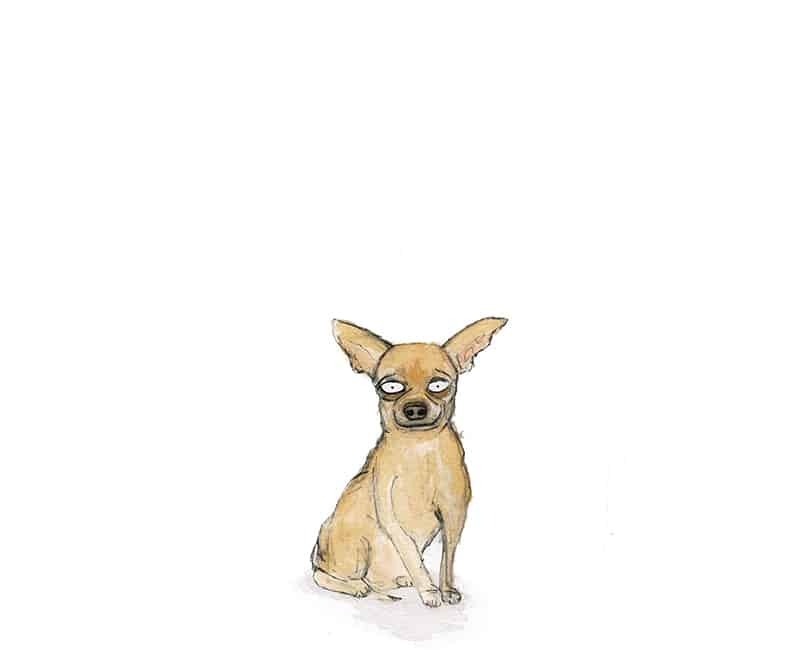 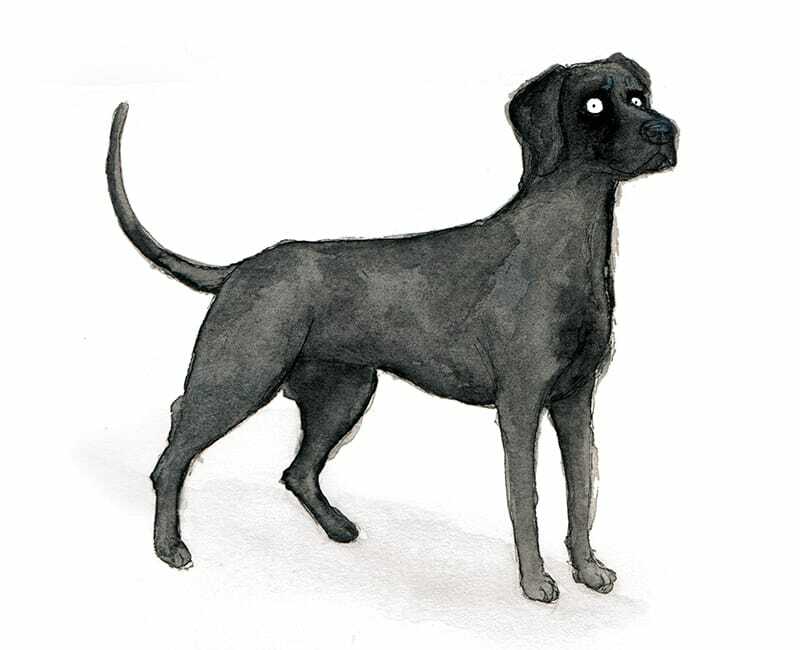 Prints of individual dogs featured are also available. 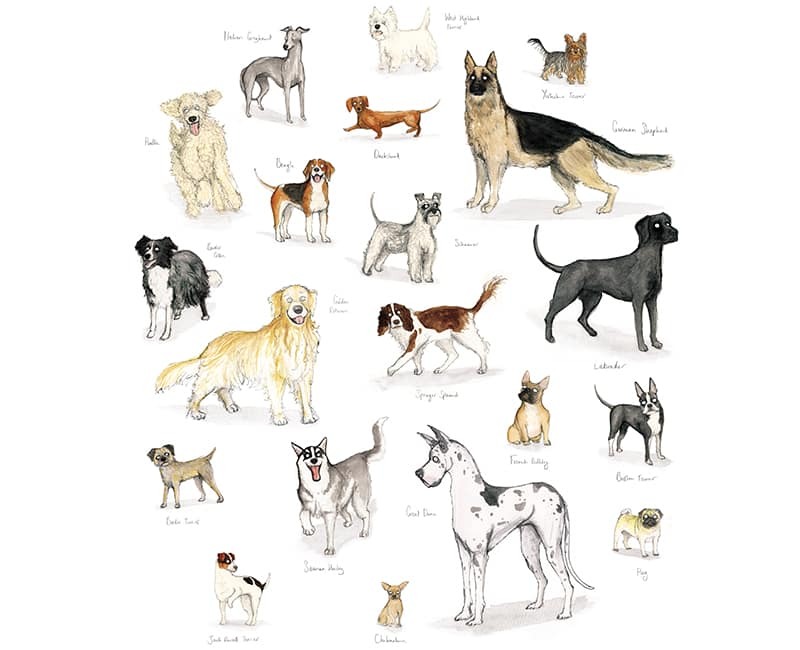 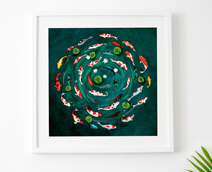 Printed onto beautifully textured 225gsm Somerset enhanced 100% cotton paper using professional pigment inks, this print is available in two sizes: L (A3: 30 x 40cm) and XL (A3+ 33 x 48cm) and is available unframed or framed.